For more than 145 years, Boston Children’s Hospital (Children’s) has delivered the highest quality healthcare for children. Founded as a 20-bed hospital for poor urban children in 1869, Children’s is now a 415-bed academic medical center that sets the bar for pediatric care; educates tomorrow’s leaders in child health; enhances the health and wellbeing of children and families in the local community; and leads the world in research and discovery. 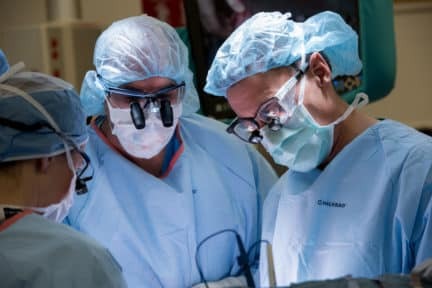 The hospital’s impressive list of medical advances ranges from the first successful remission of leukemia (in 1947) to groundbreaking fetal heart surgery. Children’s is New England’s regional referral center for pediatrics and a safety net hospital for the most critically ill children and those from low-income families. Its caregivers and researchers partner with neighboring communities to address the most pressing child health concerns – from obesity and asthma to mental health. The hospital trains more pediatricians and has a larger research program than any other pediatric hospital. As a not-for-profit, it invests all resources in its treatment, research, training, and community missions. 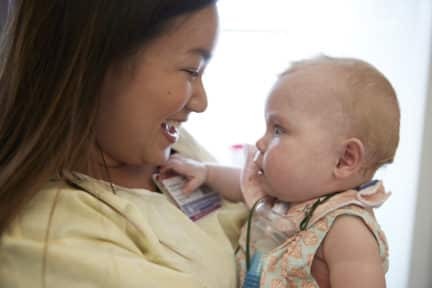 With over 26,000 inpatient admissions and more than 700,000 visits to the hospital’s outpatient clinics and emergency department each year, Children’s offers a complete range of health care services for children from birth through 21 years of age (and older in special cases). Boston Children’s Hospital is the only pediatric hospital in America to be ranked in the top three in all ten specialties in U.S. News and World Report‘s Best Children’s Hospitals report and is ranked #1 in seven of the ten specialties. The Centers for Brain, Cancer, and Blood Diseases, Heart, Orthopedics, and Pediatric Transplant distinguish Children’s amongst the best in the world, attracting patient families from Boston as well as across the nation and around the globe. Boston Children’s Hospital is home to the world’s largest research enterprise based at a pediatric hospital. 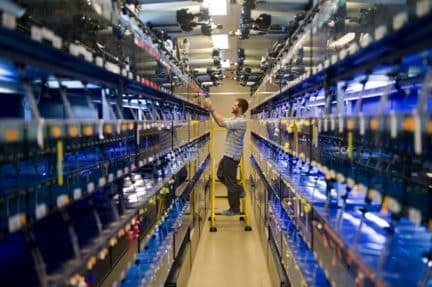 Its national centers for stem cell research, cardiovascular research, neurosciences, vascular biology, cellular and molecular medicine, informatics, and genetics/genomics position it among the top of NIH-funded institutions and attract the best physician-scientists who come to advance breakthroughs in basic and clinical science. 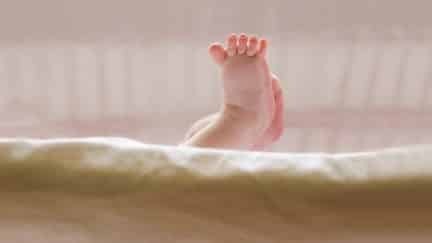 This collaboration between clinical researchers and basic scientists has repeatedly changed the face of medicine throughout Children’s history. Advances that have resulted from this partnership include the first measles vaccine, the first complete remission of leukemia, and the development of the first procedures to fix a child’s heart, among others. Today, Children’s researchers are restoring hearing to deaf mice, using a baby’s own cells to save her heart, curing children born with “bubble boy disease,” and are at the forefront of other breakthrough discoveries that will transform how we diagnose, treat, and prevent disease. For more information about Boston Children’s Hospital, please visit www.childrenshospital.org. 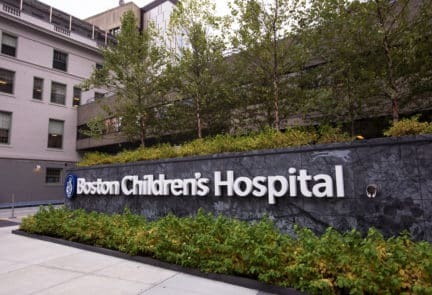 In 1998, the Children’s Board of Trustees approved the creation of the Boston Children’s Hospital Trust (the Trust) to promote philanthropic investment for the benefit of the Hospital. The Trust seeks new synergies with staff and programs to achieve the best fundraising outcomes. Today, the Trust employs over 130 Development staff and continues to be a rapidly growing, dynamic organization. Its faculty partnerships continue to be among the strongest in pediatric academic medical centers, and many senior physician-scientists at Children’s consistently dedicate significant time and attention to philanthropic purposes. Since its inception, the Trust has attracted the most invested of volunteers and the most experienced of staff. The Trust’s staff—whether gift officers or the researchers, writers, event planners, and others who support them—are deeply committed to both the hospital’s mission and professional excellence. These professionals lead with the vision to be the best. They operate in a supportive environment that prizes innovation, encourages collaboration, and provides unsurpassed opportunities for growth to those who strive to be the best they can. Most members of the Trust’s senior team have 10+ years of tenure with Children’s; and there have been significant promotions to leadership positions. The Boston Children’s Hospital Trust Board is among the most committed, generous, innovative, and engaged boards in the city of Boston and well beyond. Trust programming ranges from principal gifts to third party special events and is backed by a well-supported operations team and infrastructure. In the last ten years, the Trust has increased giving from $49M to $150M a year, leading its peers nationally in pediatric fundraising. Boston Children’s Hospital Trust has a remarkable record of exceeding its own stretch goals every year, and the current Dream. Dare. Deliver campaign is helping to ensure that Boston Children’s Hospital will continue to transform pediatric healthcare. For more information about Boston Children’s Hospital Trust and the Dare.Dream.Deliver. campaign, please visit www.giving.childrenshopsital.org. Life Sciences Initiative in which major pharmaceutical and biotech companies are partnering with Boston Children’s to enhance fellowship training and research priorities across the spectrum of neuroscience, cardiology, hematology/oncology, and child development. Manton Center for Rare Disease was created to develop new methods for understanding, diagnosing and treating rare diseases and to apply this knowledge to make fundamental scientific advances with broad implications for human health. The Every Child Fund to support care, life-saving research, and family programs not covered by insurance. Hale Family Center and Patient Family Housing where families can turn for financial help, information on their child’s illness, as well as wellness programs, coffee groups, temporary housing and play to ease stress and restore energy. Simulator Program (SIMPeds) uses new technologies—from 3D printing to special-effects enhanced mannequins that bleed and breathe—to enable doctors to plan and practice difficult procedures. OPENPediatrics, a first-of-its-kind web-based educational resource for clinicians around the world. The Senior Director will exhibit a high level of achievement in closing large gifts and will serve as a role model for staff Trust-wide. As part of the Corporate Relations Management Team, the Senior Director will partner with the AVP to lead long range planning and policies related to corporate giving. They will also work closely with Trust board members, senior administration, chiefs, scientists, and other faculty to develop and execute complex strategies designed to identify, secure, cultivate, and steward large gifts. Organize work and conduct annual performance appraisals. Creatively and persistently seek connections to new prospects through volunteers, faculty, cold calls and letters, and other means. Take risks and set stretch goals. Build and nurture effective working relationships with senior management, hospital leadership, department chiefs, clinicians, and researchers to identify funding needs, prepare the case for support, identify prospects, cultivate donors, and solicit large gifts from corporations. Recruit, develop, and sustain relationships with volunteer leaders who can extend the reach of staff to identify, cultivate, and solicit prospective donors. Draft letters, proposals, reports, case materials, briefings, acknowledgements, and all materials related to the corporate program. Outsource writing assignments as appropriate and utilize Trust resources well. Collaborate with other Trust programs (corporate foundations, research, donor relations, individual giving, planned giving, finance, communications, etc.) to ensure that corporate prospects are identified, researched, engaged, and stewarded in the most effective ways. Develop an understanding of the breadth of research, clinical, teaching, and community health programs of Children’s Hospital and its departments. Stay abreast of hospital-wide initiatives and keep Corporate Relations team apprised of key updates/changes. Keep informed of local, regional, and national issues relating to health care and philanthropy.